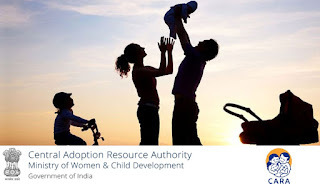 Ministry of Women and Child Development has notified revised Guidelines Governing Adoption of Children 2015 effective from1.8.2015. The 2015 Guidelines issued by the Central Adoption Resource Authority (CARA) would replace the 2011 Adoption Guidelines. The revised guidelines have been framed keeping in mind the issues and challenges faced by CARA, Adoption Agencies and Prospective Adoptive Parents (PAPs). These Guidelines are intended to provide for more effective regulation for adoption of orphan, abandoned and surrendered children and would bring more transparency and efficiency in the adoption system. With the new guidelines, it would become possible for PAPs to track the status of their application making the entire system more user friendly. 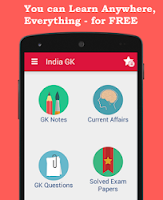 Accordingly, Central Adoption Resource Information Guidance System (CARINGS), as an e-governance measure created for the purpose of facilitating adoption of children, has been revamped. CARINGS will facilitate the adoption of maximum number of adoptable children and ensure a smoother adoption process by curbing undue delays. For hassle-free adoption, CARINGS will contain a centralized data bank of adoptable children and PAPs. Clear cut timelines for domestic and inter-country adoption have been laid down to ensure early deinstitutionalization of such children. All District Child Protection Units (DCPUs) will be connected online to CARINGS. DCPUs will be responsible for making newspaper publications of abandoned children and the expenditure, if required, could be incurred under Integrated Child Protection Units (ICPS) Fund. One DCPU member will also be part of the Adoption Committee. (i) Clear and transparent procedure for registration of resident Indians and provsion for uploading required documents online.